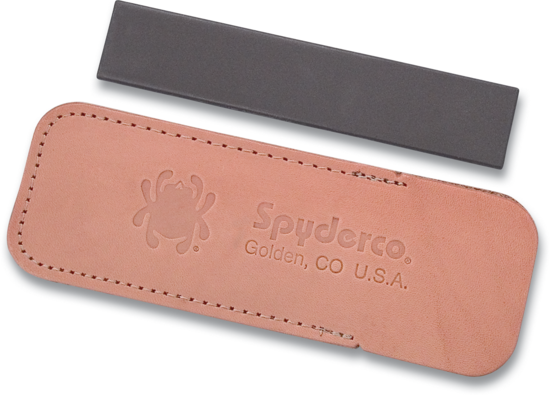 Pocket Stone Fine - Spyderco, Inc. 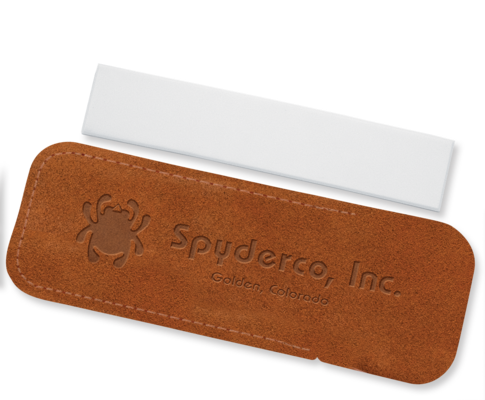 Page 85 – Spyderco, Inc.
Spyderco’s fine-grit (white) ceramic pocket stone is compact, lightweight, and ideal for touching up edges in the field. 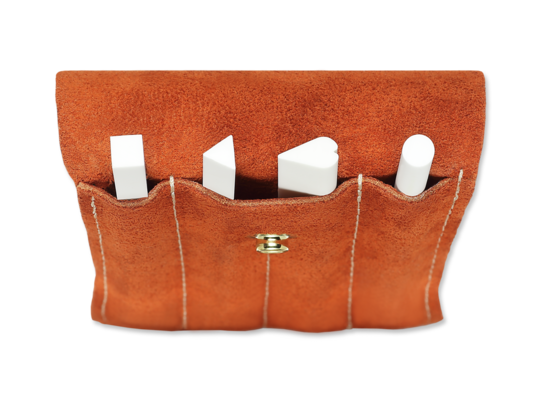 It comes with a protective suede carry case that doubles as a non-slip base during use. 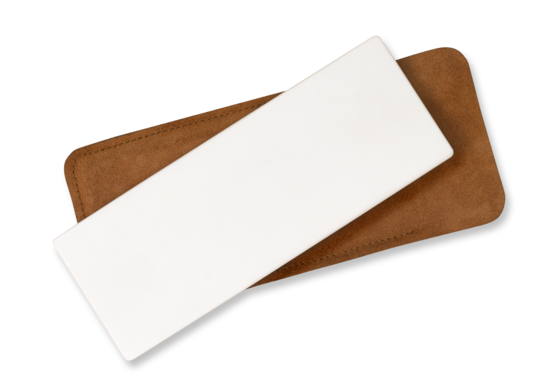 The perfect addition to a pack, survival kit, or bug-out bag, it only adds a few ounces of weight to your load and it is easily cleaned with household cleanser, a scouring pad, and water.